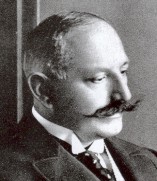 Widely known as 'the Father of the German Film Industry', Oskar Messter, born in Berlin on 21 November 1866, grew up in a scientific and manufacturing household: his father Eduard founded a company in Berlin in 1859 that manufactured and sold optical equipment, eyeglasses, and medical apparatus. The firm also made optical devices for magicians and showmen, pioneered electrical lighting for theatres, and organised magic lantern projections with his own equipment. Immersed in this atmosphere from childhood, Messter acquired business, mechanical, and theatrical skills that he would fully apply to the new medium of cinema. In early 1896, Messter began to design a film projector to project Kinetoscope films, but not until he was bought a Theatrograph of Robert Paul for repair did he abandon continuously running film and find a solution in intermittent projection, using Paul's seven-sided Maltese cross gear. His first apparatus was ordered by a Russian showman, Rogulin, on 3 June, and completed on 15 June: Messter was in the film business, and he would build sixty-four more projectors by the end of the year, forty-two sold in Germany, and twenty-two in the rest of Europe. Contrary to most historical accounts, Messter was not the only manufacturer of cinema apparatus in Germany, or even Berlin, at this time. Max Gliewe of the Optical Works Gliewe & Kugler in Berlin, had independently begun making projectors with a five-sided Maltese cross in late Spring, 1896; H.O. Foersterling was making equipment after the design of Frenchman Victor Continsouza by the Summer; Georg Bartling of Leipzig showed a projector at the Berlin industrial exhibition that opened 1 May 1896; and the established magic lantern firm of Eduard Liesegang of Stuttgart offered a machine designed by Alfred Wrench in England. Gliewe quickly came to work with Messter, and the engineer Georg Betz was also an important early collaborator. Messter's high quality of both design and manufacture was the foundation of his success, coupled with his continuous introduction of new and improved models: by October 1897 he sent a 113-page catalogue offering a huge variety of equipment to his printer. Messter began film production in late 1896 with Am Brandenburger Tor zu Berlin; he soon erected the first film studio in Germany, on the Friedrichstrasse in Berlin; a year later his catalogue offered eighty-four films, a variety of comic scenes, sports films, street scenes, miltary subjects and cabaret acts. On 21 September he took over the direction of the twice-failed theatre at 21 Unter den Linden; on 1 November he made his first projection at Berlin's famous Apollo variety theatre, and launched a projection service for theatres throughout the region. By 1901 his involvements had grown to the point that he divided his companies into specialized firms for production, distribution and manufacture. 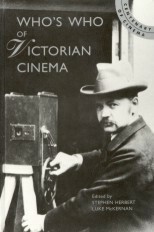 His further career in motion pictures illustrates an energetic and innovative mind combined with an acute sense of business and of history, as he explored the new medium for both commercial and uncommercial purposes: time lapse photography of blooming flowers (from early 1897); experiments with microscopic cinematography (1900-1910); the first German projection of sound films (Apollo Theatre, Berlin, 1903); English-language sound films celebrated at the St. Louis World's Fair (1904); establishment of the star system through his promotions for actress Henny Porten (1912); five hundred theatres equipped with his Biophon synchronized sound system by 1913; introduction of his Thaumatograph Model XVII projector, an industry standard (1914); founding of a weekly newsreel (Messter-Woche, 1914); construction of high speed military reconnaissance cameras (1915); co-founder and first president of the German Film-Technical Association. In April, 1918, all of the Messter film companies were sold to the newly-founded UFA monopoly for 5.3 million gold Marks, becoming one of the cornerstones of the gigantic concern that would dominate the German flm industry until the end of 1945. But Messter, aged fifty-seven, was hardly in retirement. From 1922 he actively enlarged his collection of historical film equipment, given to the Deutsches Museum in 1932. In August, 1928, he was one of the founders of the Tobis sound film company, and in 1936 published his autobiography, based in part on a decade of meticulous correspondence with all of the living film pioneers and inventors that he could reach. He died at his retirement home on the Tegernsee on 6 December 1943.